Here’s a great new way to strengthen our community while having fun cooking with our Sustainable Ballard friends and neighbors! 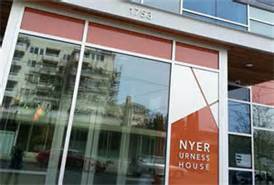 Nyer Urness House, on 56th Street, is home to about 80 previously homeless men and women, and is managed by Compass Housing Alliance. 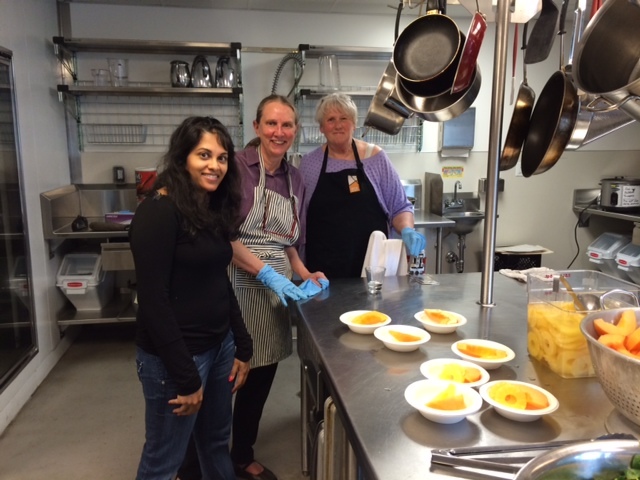 Two to three times a month we get a small team together from 4PM-8PM to cook and serve dinner to NUH’s residents. No cooking experience required, you will be guided by staff throughout the evening. This is a special project that accomplishes many simultaneous goals, including an opportunity to serve up kindness, smiles, socializing and recognition along with the meal to people who have suffered much hardship, invisibility and disregard in their lives, an opportunity to enhance the residents’ meals with our choice of healthy foods and desserts, an opportunity to develop comfort with and interact with previously homeless men and women in a safe environment, and to support the mission of Compass Housing Alliance. Our experiences at Nyer Urness House never fail to produce joy and gratitude for residents and volunteers alike. For more info, and to find out what dates we next cook and serve at NUH, join the project’s mailing list by contacting Orna. 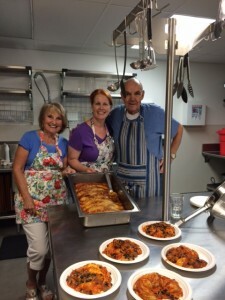 Carol, Bill, Cynthia and Orna proud of their enchiladas!